Dawn in the mountains. 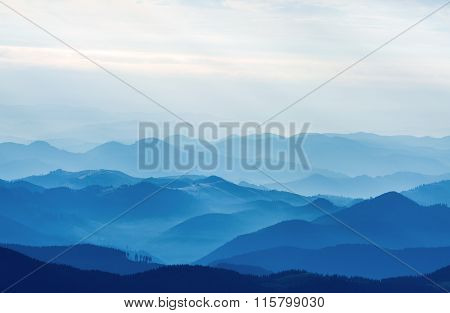 Misty layers of mountains. 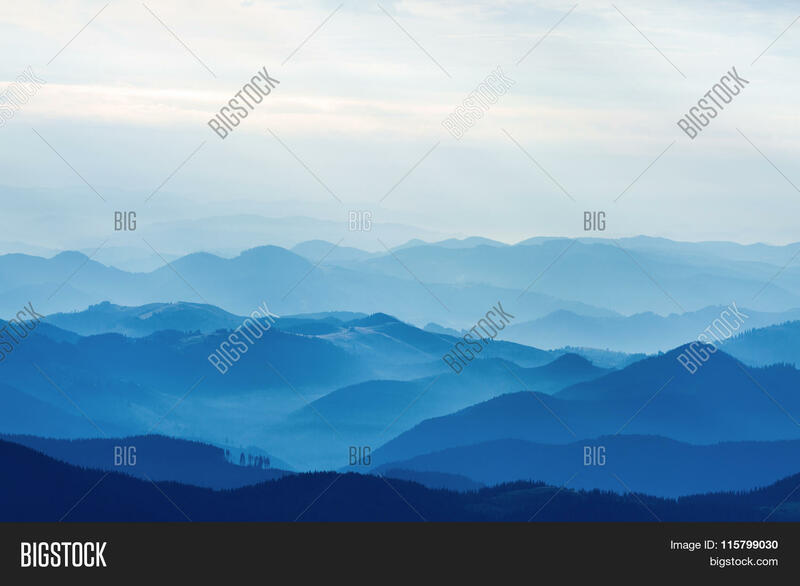 Beautiful mountains in the early morning. Haze in the mountains. Carpathians, Ukraine.